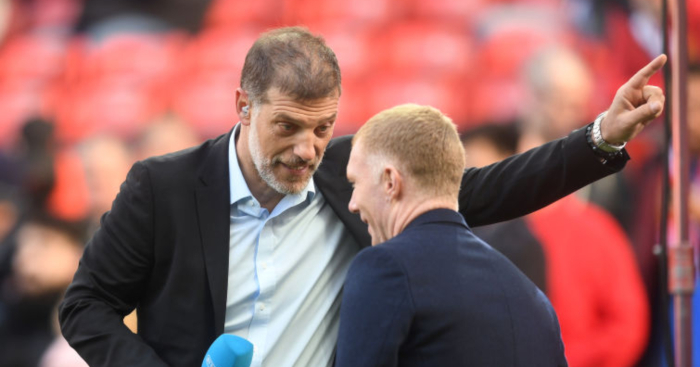 Home Mediawatch Was this not ‘an enormous embarrassment’ for Man United? Was this not ‘an enormous embarrassment’ for Man United? ‘Pep Guardiola is refusing to give up on the Premier League title despite the prospect of falling seven points behind Liverpool’ – Daily Mail. This just in: team who once won the league after being eight points behind with six games remaining are ‘refusing to give up on the Premier League title despite’ being a maximum of seven points behind with 14 games left. ‘We are 15 games into City’s defence of the title and they have won 13, drawn two, racked up a goal difference of 38 and maybe, just maybe, they can emulate Arsenal’s Invincibles this season and go the whole campaign unbeaten – John Cross, Daily Mirror, December 4. From potential Invincibles to a ‘self-destructed’ title challenge in the space of just nine games is genuinely quite impressive. Not every win has to mean that City ‘simply look unstoppable’. And not every defeat should leave their ‘title defence in tatters’. There is a middle ground. Find it. But that is nothing compared to the king of the U-turn. ‘[Sane] brought the house down, with 50,000 Manchester City fans daring to dream it is all on after his sensational winner. The title race is back on.’ – Neil Ashton, The Sun, January 4. ‘Manchester City, beaten by second-half goals from Salomon Rondon and a Matt Ritchie penalty, look dead and buried’ – Neil Ashton, The Sun, January 30. City were ‘right in the thick of it again’ when they closed the gap to four points. Liverpool can go a maximum of seven points clear on Wednesday, yet Pep Guardiola ‘can expect a few obits’. Sensational(ist) stuff. 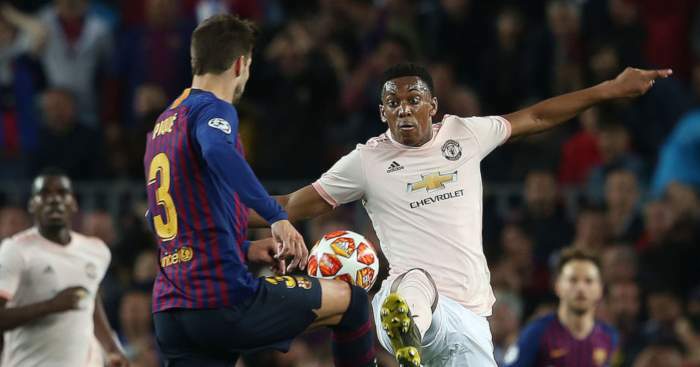 Enough about Manchester City; ‘masterful man-manager’ Ole Gunnar Solskjaer ‘masterfully man-managed’ a home draw against the team in 16th on Tuesday. 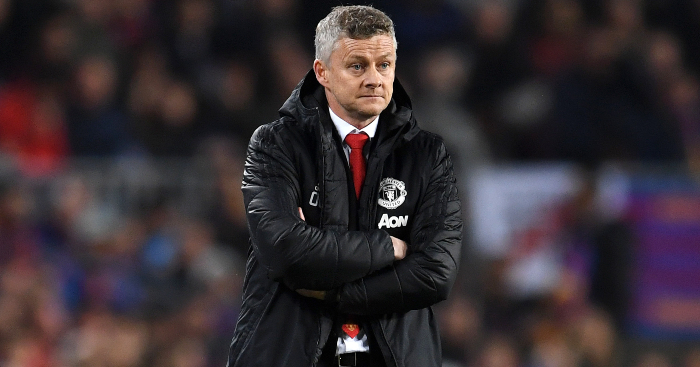 ‘At United now, mood is everything, and the manner in which this point was won will not do Ole Gunnar Solskjaer and his players much harm at all. ‘Forget for a moment the barren years of Jose Mourinho, Louis van Gaal and David Moyes; this was a finale taken straight from the Sir Alex Ferguson playbook. First off, it would have been difficult for United not to have been ‘in touching distance of the top four’, considering they started the game three points behind Chelsea. And second, late equalisers do not necessarily make this ‘a finale taken straight from the Sir Alex Ferguson playbook’. It was hardly Bayern Munich in the Nou Camp, was it? After all, Louis van Gaal, David Moyes and yes, even Jose Mourinho salvaged results in stoppage time. Funnily enough, United actually came from two goals down to draw 2-2 with Burnley at Old Trafford in the Premier League with a stoppage-time equaliser last season. And funnily enough, Ian Ladyman was at that game too. ‘At the end of another confusing afternoon in charge of Manchester United, Jose Mourinho changed tack from his recent declarations and looked for some positives from what his players had given him. ‘He was, he said, happy with his team’s efforts, his team’s personality and that his team hadn’t lost. ‘If this sounds like a man clutching at some fast shortening straws then that’s about the size of it. From now until the end of the Premier League season, Mourinho and his team have their dignity and their self-respect to play for but not a lot else. ‘This was a few minutes away from being an enormous embarrassment for Mourinho. Just to clarify, a 2-2 home draw from two goals down with a stoppage-time equaliser under one manager was almost ‘an enormous embarrassment’, but the exact same result against the exact same team in the exact same circumstances will not do United ‘much harm at all’ – despite Burnley being 7th when they drew against them in December 2017, as opposed to 16th on Tuesday. It’s as if they want him to get the job or something. 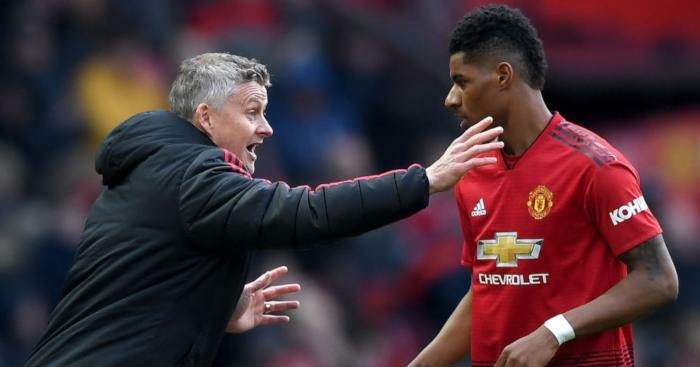 ‘Ole Gunnar Solskjaer showed his side can deal with adversity as much as glory with a stunning comeback at Old Trafford. ‘They sent the home fans into raptures. Again, they literally came from two goals down to draw with the same opponent at home last season under previous boss Mourinho. When Burnley were much better. 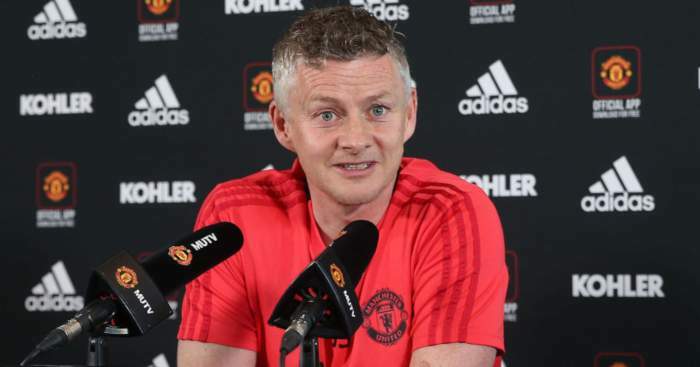 ‘Only six weeks into the job, Solskjaer has injected spirit, enthusiasm and, most importantly, confidence into this squad. Aye, and he wasn’t very good, and was at least partly to blame for Burnley’s opener before being substituted for Jesse Lingard, who proceeded to change the game completely. But still, at least Solskjaer ‘is not afraid to mix up his team selection’. 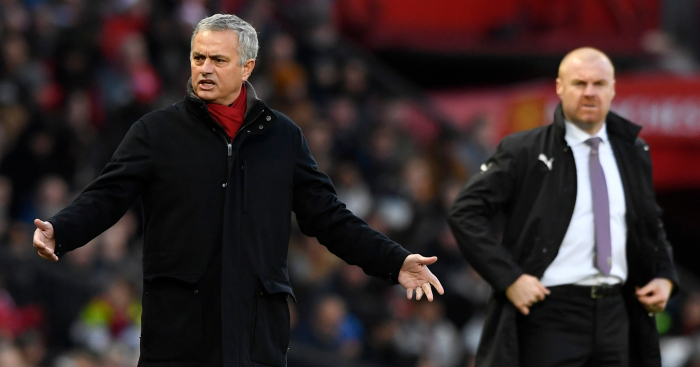 Not like that Mourinho fella, who only made 53 changes to his Premier League starting line-ups in 17 games this season – the most of any manager. Are you a Spurs fan? Were you ‘left confused’ by Mauricio Pochettino’s ‘bizarre U-turn’ on Tuesday? 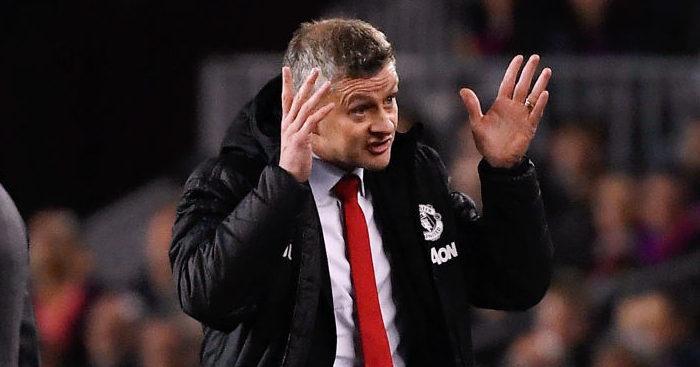 Are you bored of your manager’s each and every word being examined beyond all meaning and context to deduce whether or not he is joining Manchester United in the summer? The Sun excel even themselves on Wednesday, giving Pochettino’s press conference more back-page credence than all but one of the six actual football matches that took place on Tuesday evening. Because who wants to read about Manchester United’s result when there are rumours to be mongered over their next manager? That sounds like a weird thing to do. Thank the lord that Ben Hunt was on hand to shed a light on quotes that weirdly appear to have gone unreported elsewhere. So what is it Pochettino actually said? What was this ‘bizarre U-turn’ that ‘left’ Tottenham fans ‘confused’? Enlighten us, Mr Hunt. ‘Poch has led to top-four finishes for three seasons in a row on a shoestring and, although yet to win a trophy, is currently unsackable. ‘But when asked if this was a good time to promise he would still be at the club next year, given he has been linked with United and Real, the Argentine said: “I can’t promise that. Ah. Sounds a little more like an explanation of how employment works than a ‘bizarre U-turn’.